Clean eating food list – what’s on your grocery list? 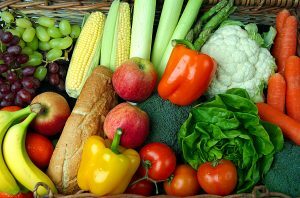 What is the best way to store produce – How to keep fruits and vegetables fresh? Hurom slow juicer review – Is the Hurom HH Elite right you? If you’re like me, you probably loathe having to throw away fruits and vegetables that have long passed their prime and just cannot be consumed anymore. But what is the best way to store produce and enjoy it fresh and tasteful, without having to go to the grocers every day? Read on to understand in a few easy tips why we should mind our fresh produce and how to always eat your fruits and vegetables at their best. Fact – About one-third of the food produced in the world is wasted every year. That’s 1.6bn tons of produce per year, with a value of about $1tn. Fact – American families throw away between 14 and 25 percent of the food and beverages they buy every year. This costs the average family between $1,365 and $2,275 per year. Fact – Fresh produce starts to decay the minute it is picked. Some varieties only have a shelf life of a few days even if stored in optimum conditions. – and see how to best store your fruits and vegetables for maximum goodness. Once picked, fruits and vegetables will carry on breathing for a while, between a few days and a few weeks. In the process, they will produce a gas called ethylene to speed up their ripening. Tip 2 – Always keep the fruits and the vegetables separate. A lot of new fridges now boast two crispers (one high-humidity compartment and one low-humidity one). The difference is usually a vent that can be opened or closed: vegetables tend to want a higher-humidity environment than fruits. High-Humidity crisper: for ethylene-sensitive vegetables, such as asparagus, broccoli, cauliflower, citrus, cucumbers, eggplant, green beans, greens (chard, spinach), lettuces, parsley, peppers, squash, and sweet potatoes, and ethylene-sensitive fruits, such as citrus and berries. Low-Humidity crisper: for ethylene-producing fruits, such as apples, apricots, avocados, ripe bananas, cantaloupes, figs, honeydew melons, kiwis, nectarines, papayas, peaches, pears, and plums. If your fridge only has one crisper, it will be by default a high-humidity one, better suited for vegetables. Tip 3 – Washing your produce. Even if you buy all your fruits and vegetables organic, they will have traces of soil, pesticides, and residues that you’ll want to wash off before consuming. Most produce will do best stored unwashed until you’re ready to eat them, as the moisture will speed up their decay. If you wash your fruits and vegetables first, then store them, make sure to dry them thoroughly before storing. No need for detergent here, wash them off under running water, scrubbing hard vegetables with a brush if need be. “Polish” the fruits covered in a waxy substance with a cloth after washing. For leafy greens and lettuces, dip the leaves in a bowl of water and gently shake to let the soil fall at the bottom. Then lift, shake dry and use. Meat and dairy can carry harmful pathogens. You might eat some of the fruits and vegetables raw or only lightly cooked. 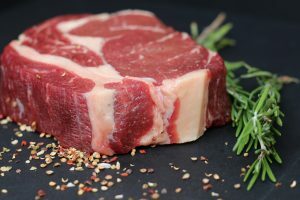 It is therefore crucial to avoid any contact with your meat and your dairy products. The meat drawer is typically located at the bottom of your fridge to avoid contamination of the other products through dripping. See the full list given above in Tip 2. Place in the fridge as soon as possible after purchasing, unwashed. Make sure to separate the ethylene-producing varieties from the ethylene-sensitive ones (see Tip 2). Vegetables will do better in ventilated packaging and not packed too tight. Make sure that their bags have got holes in it, and that they have space to breathe. The best temperature of your fridge should be less than 5°C, so it’s cold enough to slow down the ripening process. …to ripen, then move to the fridge if need be. The following fruits (or veggies?) will benefit from staying at room temperature for a while to ripen, and will then be placed at a colder temperature in your fridge to stop the ripening. You save on energy by not needing to put all your produce in the fridge at once. 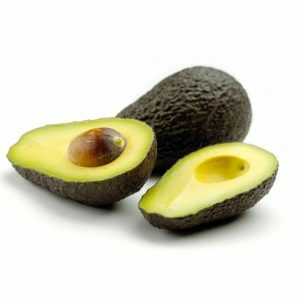 Avocados – once soft near the stalk end, they will keep for a few days longer in the fridge. If you need them to ripen faster, you can wrap them in a newspaper or place them in a brown paper bag at room temperature. Tomatoes – these will do best kept at room temperature until fully ripe. If kept in the fridge, they tend to lose their flavor and texture. Tree fruits (peaches, nectarines, pears, apples etc.). These you can keep these at room temperature until they ripen and reach their peak flavor. …so it’s best to keep your fruits and vegetable whole until the last minute. The minute you cut a fruit or a vegetable, it will go into “auto-destruction mode” and activate some enzymes that will speed up the spoiling process. Hence apples or peaches going brown shortly after being cut. So it is far better to keep your fresh produce whole, and only peel them and/or cut them right before you need them. Tip 8 – If you can’t eat it fresh before it’s past its prime, freeze it or juice it! Although freezing is likely to affect the texture of the fruits and vegetables, it will preserve its flavor, color and a fair amount of nutrients. preserve your fresh bounty for later, when the fruit or vegetable will not be in season and readily available. Depending on what you need to freeze, you might need to blanch your produce to keep the flavor. Check first what freezing technique is required for your fruits or vegetables, to make you enjoy your produce later on. Juicing or blending also allows you to make the most of your fruits and vegetable, even if you don’t have time to prepare and cook it. Tip 9 – Buy from local growers to get the longest shelf-life. This is valid for just about every fruit and vegetable out there: the longer it has to travel, the more it will be handled and the longer it will be stored. All of which will affect its shelf-life. Imported produce is usually picked green, and will have to ripen during transit and storage. They will also be lacking the optimum conditions to do so, like natural sunlight. Locally grown produce have less to travel, and, even if bought from your local supermarket, are more likely to have been picked closer to their prime. They will have also undergone less handling. Of course, your local market or pick-your-own trips are even better. Tip 10 – Buy your products at different stages of ripening. a couple to eat in a week’s time (firm all round). Or ripen some fruits at room temperature, but move some in the fridge to slow down the ripening process. 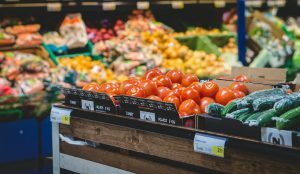 10 easy tips to help you get more goodness out of your fruits and vegetables, save money and help reduce global waste in the process. What’s your tip to make the most of your perishables? Please share it with us below. 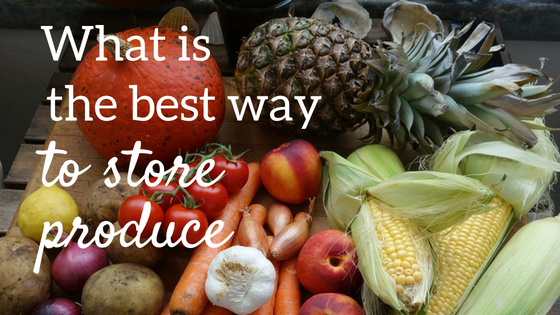 And if you need some help with your grocery shopping trip for clean food, check this post. Awesome post and great tips! I hate the idea of throwing away food, and it happens rarely in my home now because of great tips like these. I have started buying veggies just so that I can freeze them and always have what I need for a recipe. I buy locally grown whenever I can. Years ago there were these green bags that you could buy on the shopping channels especially for ethylene gas, but I was not successful with them. I finally just stopped buying so much. Do you know of these? Thank you for the awesome tip on buying an avocado. I am not good with that, and have thrown more than a few away because of it. Do you have any great tips on buying melons?? Being an advocate of healthy living, I love to eat fruits and vegetables. But I do not want to keep going back to the fresh market so I tend to buy a bunch and keep them at home. The problem is, the fruits ripen and the vegetables decay much faster before I could consume them, which is really frustrating because I hate to waste food. I’ve been looking for some ways to keep my fruits and vegetables stay fresh longer so thanks for these tips. By the way, there’s one traditional way of keeping vegetables stay fresh longer that I learned from my Chinese friend. She told me to wrap the vegetables, especially green and leafy veggies, with a cloth or thick paper towel to keep it away from moisture, thus making them last longer and I find this really effective. What do you think? Hi Alice, thanks for your comment. I’m with you on throwing food away… Luckily I have a dog that is more omnivorous than carnivorous, and backyard chickens for the rest of the stuff. So not much makes it to the compost heap that should have been eaten before! Re. wrapping the leafy greens, yes it works, my mum used to wrap the lettuce in a clean cloth, then put in a plastic bag and it would keep quite a few days. But I’ve tried it in my fridge and it didn’t seem to make much of a difference. I’m pondering whether it’s to do with the fridge itself, the variety of greens or even the type of chemicals on the leaves (my mum is in France and I’m in South Africa, so it’s hard to say). But if it works for you, I should research this and add it to the article. Thanks for the tip! Free Clean Eating Grocery List! Sign here and receive your editable/printable Ultimate Clean Eating Grocery list! 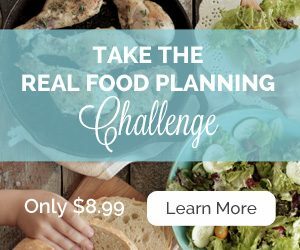 Dare to try eating real food? Joo on Organic vs local food – which is best? 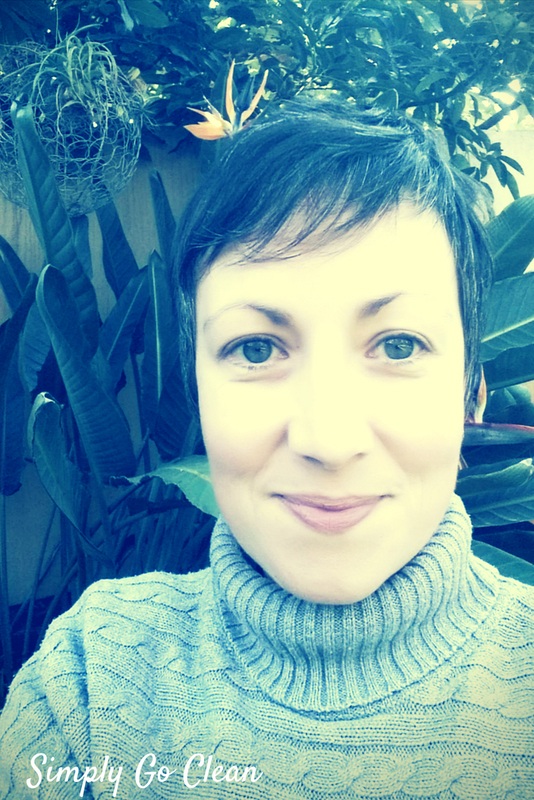 Isabel on Organic vs local food – which is best? Irma on Organic vs local food – which is best? Copyright © 2019 Simply go clean. All rights reserved.